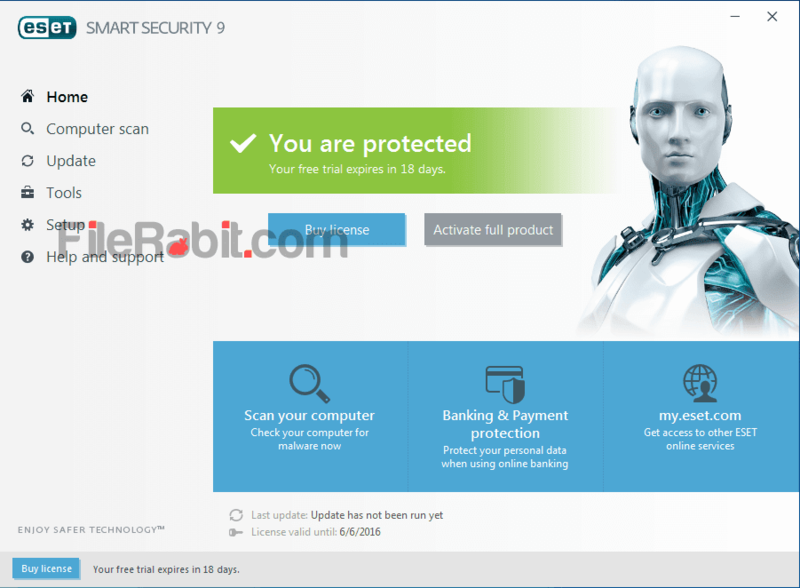 ESET Smart Security is updated antivirus program that will block virus, spyware, adware, malware, worm and Trojan attacks, also stay away from hackers and seekers. The strong security shield and firewall protection makes your computer clean and safe. There are 3 guaranteed computer protection methods were using by this program: Real-time file system protection, Anti-stealth protection and HIPS. Web, email and network protection includes various ways of protections. Antispam and anti-phishing will prevents your privacy and security from email spam as well as phishing frauds. 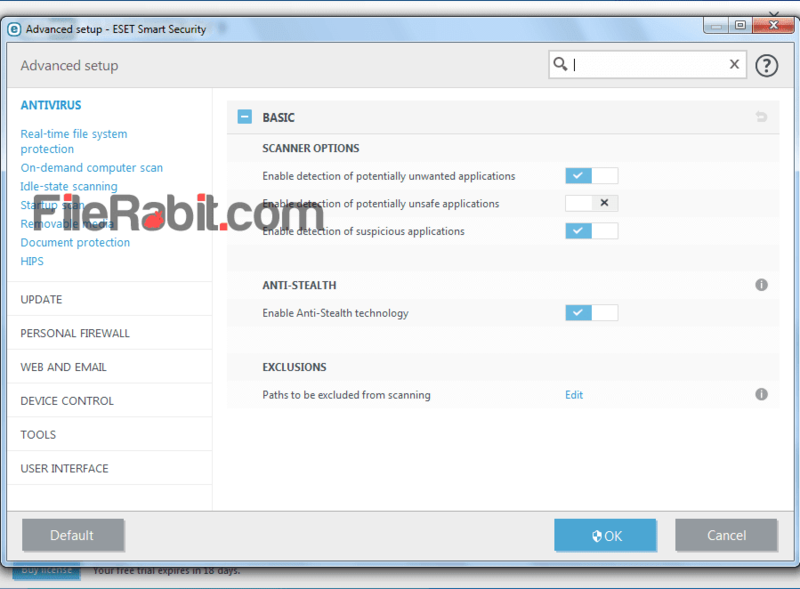 ESET developer team has added banking and payment secure system in latest version. Many users already facing lots of hacking attempts and as a result a loss of money. Banking & payment protection system will give 100% security while doing online shopping or payment transfer. This will encrypt all credit card, email, password and other credential information through a secure browser. 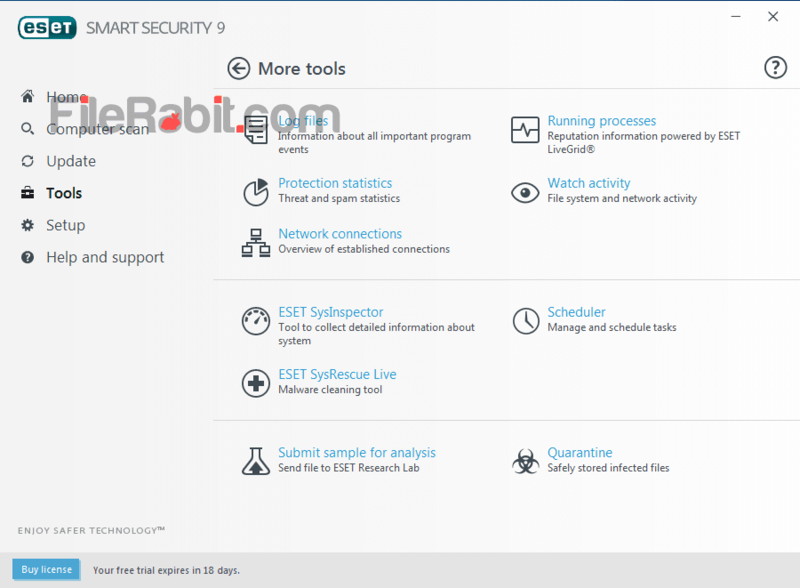 However, ESET Smart Security is light weight and less resource taking antivirus program. This product was ranked in top for 2 times in a row with achieving 100% score at AV-Test. All of powerful functions makes it proud antivirus software but cloud file reputation system, submit file for analysis and anti theft system are main stream. If a file was not deleted by routine, right click on infected file and choose quarantine. This process will move file to unwanted place so no one can return it without your permission. Anti Theft: Track your laptop or notebook through satellite map system. This feature will capture the face of thief via internal webcam. However, your machine will be locked immediately with password protection. Parent Control: It allows complete control over privacy functions inside computer. Now you can watch and control content or websites though parental controlling. This feature will keep your kids safe and away from pornographic content. Firewall Control: Prevent hacking attempts and stay your privacy info hidden from hackers. It will block unauthorized access to your PC and show invisibility mode on public WiFi networks or hotspots. Spyware and Malware: The ultimate and real-time protection from malware, virus and spyware is the main feature. It will block any suspicious tool running from USB, memory card, disc drive or other removable media. These are most dangerous techniques used by hackers. Banking & Payment Protection: This is new feature introduced for the first time that allows a secure browser. The browser will encrypt all login information e.g. email, password, credit card, visa and other PIN numbers. So no one can read and access to these credential secrets.